Like most mothers, there's probably nothing you wouldn't do for your children. If you want to set your child up in a way that allows them to experience success in their lives, it's important to take a proactive role. You don't want to be that parent who is overbearing and strict. However, you do need to be intentional about the way you approach their upbringing, routines and more. You don't want to wait until your children are in middle school before you start taking their future seriously. Start while they're really young. After all, the years will fly by quickly. Consider these tips in order to get started. Plan family field trips and vacations. Make sure there is an educational element involved in some of these trips. Plan a trip to one of the local children's museums. On another day, take a trip to one of the art museums. When school is out of session, take time to go on vacation. Consider going on a cruise so that you can enjoy multiple countries in one vacation. Read books that expose your children to different career fields, cultures and more. In many cases, a child will absorb whatever they're taught. Make the investment in their education. If one of your children shows an interest in science, look for summer camps that focus on science and math-enrichment. If they are interested in medicine, allow them to get exposed to the daily lives of different medical professionals. Let them see how different machines like the open mri machine work. If you're unable to find camps that cater to these different subjects, look online to see if there are any courses or resources that you can tap into. Always be a positive force in the lives of your children. You never want to be in a position where your children are afraid to come to you for support. Don't focus so much on their careers that you forget about them. Remember that they are children first. Yes, it's good to push and motivate them to do better. However, always make sure you constantly emit positive energy because they can tell the difference. Yup, I do try to do all of these things as a mother. I do try to expose them to a lot, and we love to take vacations when we can! 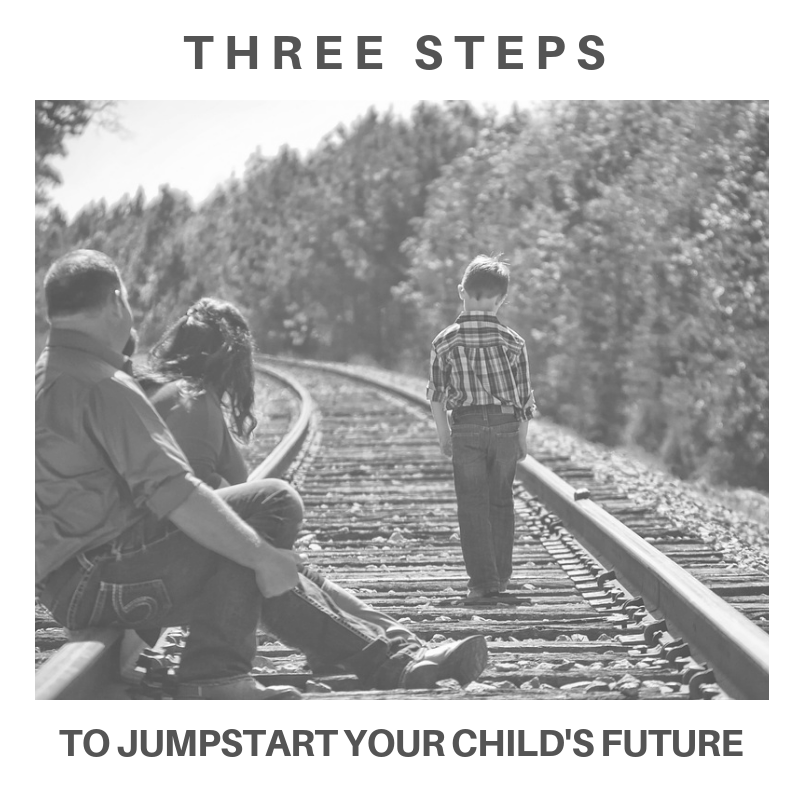 These are all great ways to help your child. I think my kids always got the most exposure in school. I believe the investment piece is overlooked A LOT. It's so important to give your children a fighting chance by investing time, money and resources into what they show interest in both academically and extracurricular. These are great tips. We love to travel with our boys and take them in day trips. We are always planning and saving for their future education as well. These are great ideas! I know with my daughter she loves history so not only do encourage it, we make sure sure she has an outlet to learn about it. Great tips! We do all 3 of those things in my household. We take trips several time during the year. We invest into them and I am their biggest cheerleader. Those are all great steps! I believe it's our job as parents to guide them, teach them and then set them free to fulfill their dreams. The gift of time and a godo education are a must in my opinion. My mom was used to tell me that best inheritance I would get was my education and she was right. Great advice. I am a mom and a teacher who has raised two kids. Encouragement is so important. Don't forget they are not robots. Catch them doing good. This are some great tips. I was looking for similar info. Thanks. I am single and no kids yet but I must say I agree on your points. Definitely such things to consider. Taking note of this for the future. These are surely words to live by not just for kids but even as adults grow it ourselves everyday. Thanks for this post. Yes, we do that, too. Investments and experiences, creating happy memories. However, sometimes, I can be rather sharp tongued. I try to keep it but sigh...sometimes I really lose it. This generation of children have so many options open to them that it can be quite confusing for them to settle down into a specific career. Being a patient parent would be the key to success as it is possible that they will make many mistakes and change many jobs between the ages of 20 and 45.
i love the list you gave us. Yes on the exposure because it will open their eyes to new opportunities. Investing on their talents, too, is important. I believe, resources put on talents arent wasted. And yes, on encouragement. We need to show to our kids that we believe in them and in their capacity. Spoiling kids at the early age will not give them good foundation as they grow. Letting them do what they want and passionate and guide them along the way, and allowing them to work on it on their own.